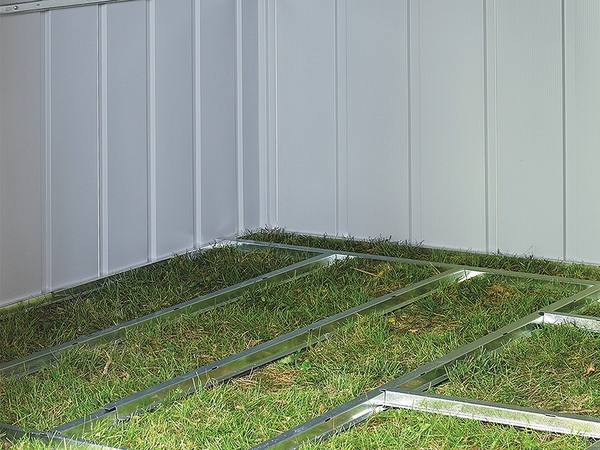 The Floor Frame Kit is compatible with the Arrow shed sizes 10' x 11', 10' x 12', 10' x 13', and 10' x 14' sliding door units. The all-steel floor kit undergoes a hot-dipped galvanization process that helps provide resistance against rust and corrosion. Package contains the Floor Frame Kit only and does not include floor finishing material. This kit works with both the AK100 and the AK4 anchoring kits. 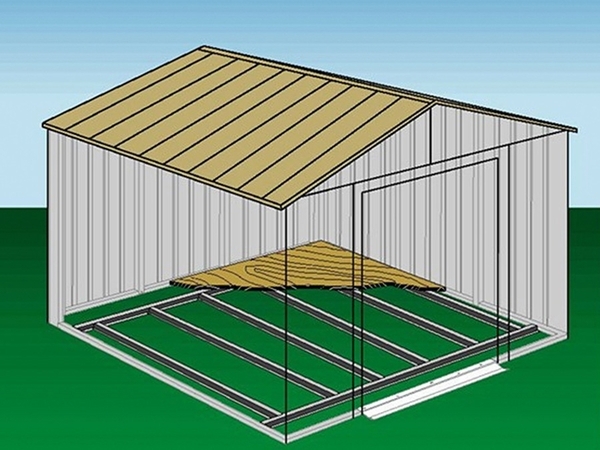 This is a good idea for a shed floor, but I think it needs more support ribs. It came with long support ribs as well two small ribs, but I would like to have had more. With the easy-to-follow instructions, assembly was easy. The kit included sturdy material and everything needed to complete it. It goes with my shed perfectly. 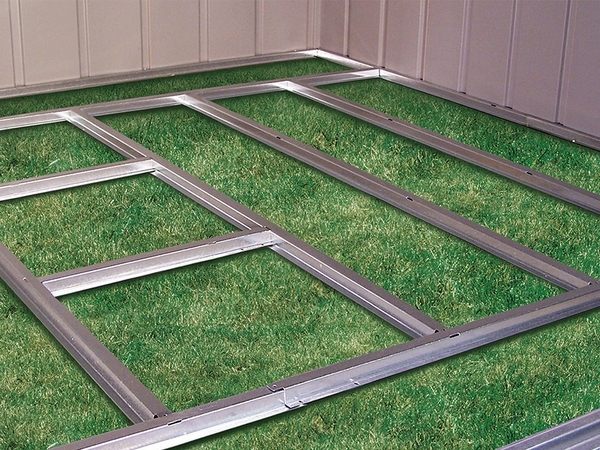 The floor, being specially made to fit my shed, is easy to install and gives the storage building structural integrity. Perfect fit really made project much easier. This has a strong frame. The instructions advise you to use nails, but I prefer self-tapping screws so the boards will not warp. This kit assembles and installs easily and secures the shed well. I chose to use screws to fasten it to the plywood rather than nails, which were recommended. I think the price is a little too high. This floor provided a good base for my shed and was easy to assemble. I found that some of the parts were excluded, but I called the company; the missing parts were shipped immediately. For the size and price, this floor is a great way to have a patio floor wherever you need it. I can move it to another location easily and clean it effortlessly. In full sunlight, it doesn't get hot enough to burn bare feet.